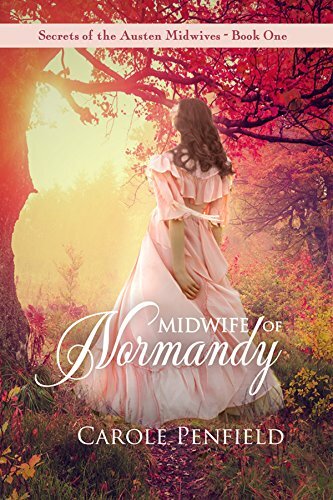 Midwife of Normandy follows young Clare as she struggles to save her family and career from France’s tyrannical king. What was the inspiration for the setup to this thrilling novel? An avid fan of history, I researched 17th century religious persecution of Huguenots by King Louis XIV and was surprised how few historical fiction novels had been set during this turbulent period (as opposed to numerous novels set in other times, like Tudor England.) I also noted that many historical fiction authors focused on women of royal or aristocratic blood as protagonists. I wanted to do something different, so I created a Huguenot female protagonist, who rises from humble beginnings and dares to defy and outwit male authority, including the King’s soldiers. After visiting Rouen and the beautiful countryside of Normandy, I felt certain this was the perfect location for my book. I didn’t think being a midwife could be so interesting and this novel definitely caused me to look more into the profession. Why did you choose this profession for Clare in the story? Let’s face facts; there weren’t many professional options available to 17th century women. It was widely held that their only proper role was marriage, absolute obedience to husbands, and bearing of children. Midwifery was almost exclusively performed by females, but was looked upon as a lowly trade. In order to rise above her humble beginnings, Clare decides to offer her services, using a secret ancestral formula for pain-free birth, exclusively to wealthy members of the aristocracy who reward her handsomely, thereby turning midwifery into a lucrative profession. Clare is a fascinating character that continued to develop as the story progressed. What were some themes you wanted to capture in Clare’s character? Throughout history, women have struggled against many prejudices. What I set out to achieve was to create a strong, ambitious young woman who sought to control her own destiny. In a sense, Clare was an early pioneer for female equality in 17th century France, as she sought a career. However, she knew she was also obligated to marry in order to bear a female child to carry on her ancestral midwifery heritage. At first, dewy-eyed young Clare is disappointed when her romantic childhood sweetheart leaves the country and she is coerced into marrying his older, dull brother. However, she turns out to be much stronger than her husband, even to the point of secretly using birth control until she decides the time is right for bearing children. And she is the one who must bravely plot their escape from France. Another minor theme is the conflict a career woman faces between spending time with her children and working outside the home. A feeling of guilt. This balancing act continues through the present day, so it is a universal, contemporary theme. The second novel in the series, Lucina’s Destiny, is now available on Amazon.com. 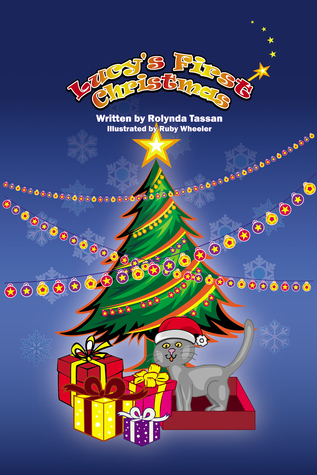 It follows the exciting adventures of Clare and her family as they settle in England. Clare Dupres, ambitious young Huguenot midwife living in turbulent 17th century France, struggles to save her family and career from the terrors of tyrannical King Louis XIV. On the brink of womanhood, she records in her journal the grand plan for her perfect life–marriage to the man she loves, renovation of mysterious Maison Dupres as her home, and a rewarding profession. The key to her plan lies in “the magic elixir,” her ancestors’ secret formula for pain-free childbirth, which she offers solely to wealthy aristocratic women. But King Louis’ increasing pressure on Huguenots to convert to Catholicism shatters Clare’s dreams. Her lover forced to flee France, she is compelled to marry his boring brother. Then she is banned from practicing midwifery. Yearning to continue her profession coupled with fear that her children will be kidnapped by Papists, Clare tries to convince her stubborn husband to move to England, but he is blind to the growing menace. When danger lurks in the form of the King’s dreaded Dragonnade soldiers, she must summon all her strength and determination to save her family. Can Clare succeed in getting her family safely out of France before it is too late? 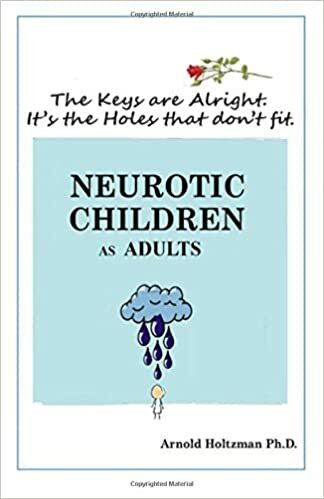 Neurotic Children as Adults is a guide to help parents understand themselves and in effect become better parents. Why was this an important book for you to write? After several decades of professional experience with clients who had been overtaken by serious neurotic disturbances in both their social and intimate partner relationships, along with damaging perceptions of self-worth, and with lives simply going nowhere, it was as clear as the noonday sun how maternal deficiencies and abject parental failures, often from day one, determined the troubling designs of their lives as adults. Inasmuch as I had written this book for young parents whose intentions were essentially very positive but whose own histories perhaps lacked bonding experiences, the experience of worthiness, and a recognition of their most fundamental security needs, it was also written for the adults who might identify with people described on these pages and grasp what had so mangled their own lives. True, genuinely absorbed awareness of what was responsible for the neurotic designs in their personalities offers, in effect, the only leverage permitting lasting therapeutic adjustments. What do you feel is one common misconception people have about parenting? Parents rarely grasp the degree to which a child is powerfully molded by just about everything that defines its earliest home environment. Up until about the age of eight the parents are seen as the life models with which they must identify and emulate. Later they may insist that the very opposite is true, but the patterns are effectively ingrained.The early experience of an unstable home environment, grievous emotional scarring, serious and prolonged parental discord produces children who, as adults, are without the capacity to experience true joy in any area of their lives. I thought you showed a solid grasp of psychology and behaviorism. What background in education or experience do you have that helped you write this book? 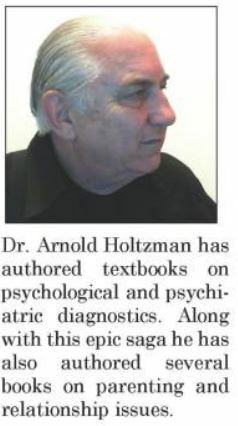 A Ph.D. in the behavioral sciences, many decades of private clinical experience and almost as many decades lecturing on these experiences. The last decade included laboratory work in psychiatric hospitals and papers on biometric diagnostic procedures published in academic psychiatric journals. When therapy fails it is largely because the therapist has no idea what may be at the root of his, or her, client’s distress. The therapist is entirely without access to the history of the client’s earliest pre-conscious experiences – information that is almost always vital in grasping the very reasons why that person had been moved to invite professional intervention. What sets this book apart from every other in the genre of child development and parenting issues are the perfect links it presents between very specific infant/child stress experiences, and equally specific disturbing attitudes and behaviors in the adult. Nothing is ever lost to memory even such as transpired in the earliest development phases. This work is intended, in the main, as a guide for the genuinely devoted parents of infants and young children. At the same time it delivers clear answers to adults weighed under by lives going nowhere and suffering anxieties of an unforgiving nature. There are two kinds of fatherlessness. The first kind is where the father is never known to the child. The second, the father lives in the same home as the child but is emotionally unavailable and often physically absent too. Both of these have adverse effects on the child. Children need a special kind of love and nurturing from their father. There is some security that comes from having a father, especially in the formative years. Children cannot understand why other children have their fathers but they do not. Todd Johnson tells a very intimate and personal story about his childhood. He grew up in a single parent home. He talks about the struggles he went through as a result of not having that special father figure in his life. He outlines all the choices he made as a result of his home situation. He talks about how that situation shaped the man and father he is today. The most important thing in this book is the role of God in a single parent home. One can ask God to fill that void left behind by an absentee father. A fatherless person can find the love and care they need from God. It urges on the importance of God –lead fatherhood. This book is centered on a very important subject. Fatherless homes are very common not only in America but on a global scale. In fact, the book starts with some very interesting numbers. Numbers never lie. They indicate the percentage of children affected by lack of a father or having an emotionally unavailable father. The numbers give the book a serious tone. One will understand the true weight of this subject. Fathering the Fatherless makes proper use of scripture. It conveys the message God has about fatherhood. One will have a better understanding of their role once they have read through the verses given. He will understand that being a father has nothing to do with DNA but everything to do with nurturing, caring and loving. That, the kind of father one has great potential to shape character and identity. The author is obviously very passionate about the subject and the book feels like a personal endeavor. However, the delivery of the subject matter suffers from broken statements, grammar mistakes, and anemic prose. At one point, the author strings together verses from the Bible and at times repeats verses and his personal story feels incomplete. This book does a fantastic job of starting a very important discussion, but stops short of diving into the deep end of that conversation. 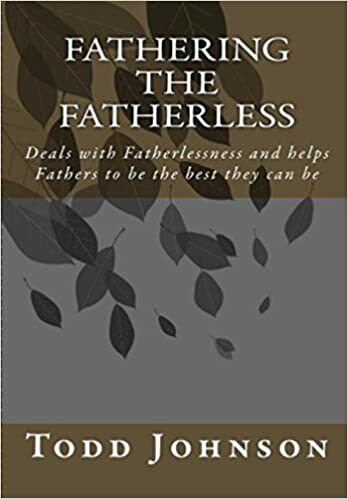 If you only pay attention to the intended message you can gain insight into what fatherlessness really is and this book does a great job of getting that conversation started. 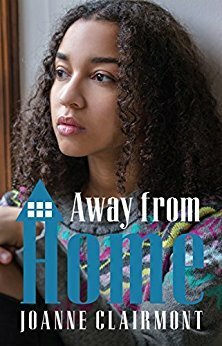 Away from Home by Joanne Clairmont is a very real and heartbreaking look into the troubled thoughts and insecure feelings many children and teens experience when part of the foster care system. As an experienced foster mom, Clairmont has dealt with a number of heart-breaking cases of fostered teens feeling lonely, isolated, and abandoned upon entering her home. She writes vividly about the struggles and emotions those in her care have faced, and the unseen turmoil brewing within them as they are placed into yet another new environment. Oftentimes sorrowful, Away from Home is an important read in understanding the ups and downs of the foster care system by those directly experiencing it. A short book broken up into six sections, Away from Home shares Clairmont’s foster care experiences in poem form. Each section contains several poems related to a specific type of foster child, such as The Unsettled Teenager and The Challenging Teenager. Most of the six sections share the pain and loss of security many fostered teenagers can relate to when thrust into a foster situation. The last section, titled The Independent Teenager, completes the journey of emotional growth of the foster care teenager and consists of more uplifting and positive poems. I appreciated that the author could interpret the actions of her fostered teenagers from the first night they arrived at her house until they had grown and moved on with their lives. I found the poems in The Unaccompanied Minor and The Unsettled Teenager especially easy to connect with due to their complete realization and understanding of how a teenager would feel upon entering a new foster placement. They presented a personal psychology into the effects of the instability and adaption foster children must cope with through no fault of their own. I especially liked how the author construed the emotions of a new placement in “Don’t know if I am coming or going.” It was a simple and realistic take on how a newly placed teenager may feel upon arriving in a new place after enduring several former placements. It captures the frustration and identifies the protective wall that has been built up to shield the fostered teenager from experiencing any more emotional loss. While there were many poems that hit the mark in eliciting a feeling or emotion when read, there were also a few that didn’t do it for me. “It is not cool” and “No school today” seemed like unfinished thoughts or small snippets that could have been better fleshed out. I think the book would greatly benefit from some additional structuring and the addition of more personalized images. The images in the book are generic and vary in artistic design. More simplified, original artwork would do wonders to visually present the ideas and feelings of the poems. Overall I thought Away From Home really presented the emotional psychology and depth of the foster care system and those who live it. It created a descriptive and realistic picture for those who may not be familiar with the tragedy and distress many teens experience while in foster care. Aside from the few issues I had in reading, this book was an intense, creatively written study of an important subject. 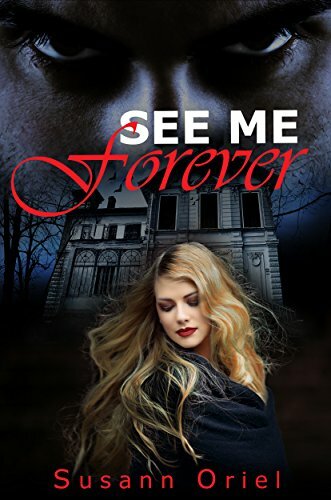 See Me Forever begins in an old alluring home in Erradale Bay where Arianna Harte, a beautiful woman oozing with class, purchases the home in hopes to begin a new life. A spirit is instantly drawn to her, becoming obsessed with wanting her to himself. Edmond Nathaniel Wilde is the man behind the spirit, a well-spoken man who comes from the Victorian era where sins such as infidelity are not to be tolerated. Meanwhile, Logan, a detective, is investigating an incident involved with Arianna’s home and finds himself beginning to fall for Arianna’s beauty and charm. Between a passionate spirit and a detective filled with skeletons in his closet, Arianna will be thrown into a dark and brooding love triangle with supernatural twists. See Me Forever, written by Susann Oriel, is a beautifully written love story that has a touch of all the right genres; including action, mystery and supernatural elements. It is hot and steamy, romantic and at times frightening, providing a story line that is full of entertainment for all readers. The words drip with elegance and sweep the reader through a colonial home. Gargoyles adorn the outskirts of the beautiful colonial styled Oak Lane property, giving the reader a glimpse into a home which would have been luxurious in the Victorian era. Susann’s style of writing is easy to read but descriptive; the conversations and interactions between both spirit and human are easily imagined and felt by the reader. I love the way Susann Oriel describes Arianna Harte. She is innately beautiful but also physically stunning, catching the eyes of suitors around her. But she isn’t sleazy or forward and has a level of class and integrity that is to be admired. Her encounters with others are filled with lustful desire and will leave the reader feeling as though their blood is on fire. Arianna’s is a sensitive, different from a medium in that she sees the spirits as well as feeling them. This particular talent will land her in sticky situations as she sees the faces of those who pass everywhere she goes. The story begins with more questions than answers and I was eager to know how Edmond had passed. There is an element of suspicion surrounding his death and how his first wife may have died. A woman who previously lived in the home is now an elderly lady and once held Edmonds affections. How do they fit together to form the pieces of the puzzle? You will have to read it to find out! You’d be mistaken to think that this novel is only a love story. There are mysterious plot changes, broody characters and action scenes that will leave you begging for more. I would recommend See Me Forever for those who enjoy a romantic novel but also enjoy their haunted house styled stories.